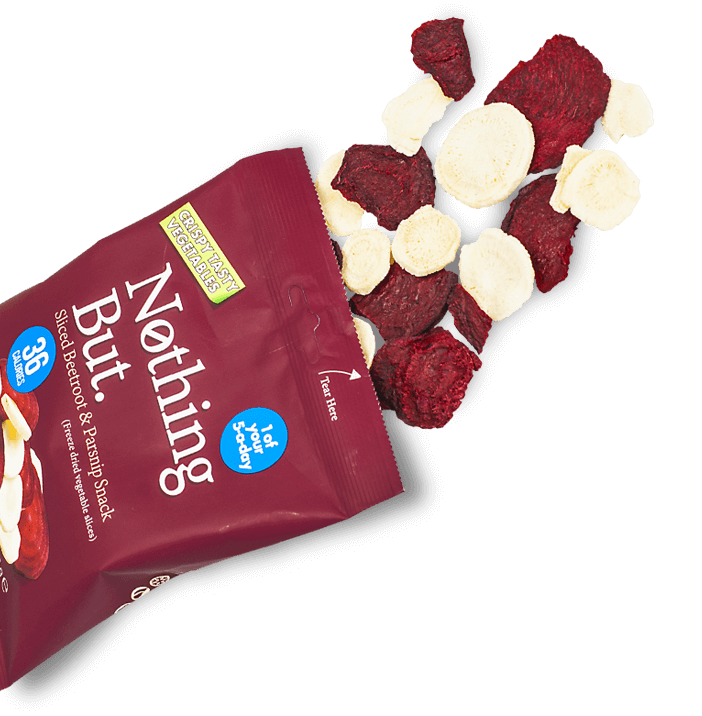 We've always thought that Mother Nature knows best, so our healthy snack packs of freeze-dried fruits and vegetables contain nothing but 100% wholesome ingredients. It’s what sets them apart from other products on the supermarket shelves, and we think it’s good to be different. And because our ingredients undergo a special process called freeze-drying, rather than being baked or fried, all that’s removed is the water. 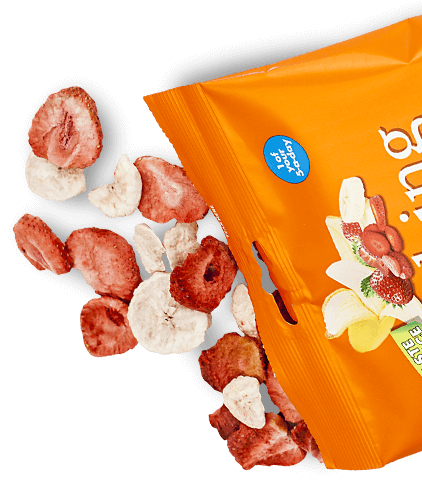 Lots of lovely vitamins and flavours are retained for a super healthy snack that never compromises on taste - perfect if you want something that strikes the balance between delicious and nutritious.